Panic and tension as no fewer than ten persons have been reportedly killed in a rivalcult gang war in Agbarho town in Ughelli North Local Government area of Deltastate. ‘’Mr. EdafeTega, a young promising youth was stabbed in his stomach, he ran to general hospital in Agbarho. But he was denied treatment as doctors on duty demanded policereport. He fought hard to survive, butunfortunately he could not make it as he slumped in the hospital gate and died’’Mrs Agelina, Tega’s elder sister cried when our reporter visited her compound. Barely two weeks ago, Agbarho community knows no peace has gunmen chased away the traditional ruler from the palace, His Royal Majesty Samson Ogugu on alleged gross misconduct. The community has been taken over by hoodlums of different cult groups which armed robbery,killings have been on the increase. A vigilante who pleaded not to be mentioned told Daily Watch that the leaders who armed the cultists and armed robbers to chased away the traditional ruler and captured the not disarmed the cultists and armed robbers they used in the king’ schase operation. His words ‘‘ The cult gang leaders have taken charge of leadership of the community after they were used to chased away the traditional ruler, HRM Samson Ogugu from his throne two weeks ago, the leaders didn’t disarm them and so they are the ones ruling the town with the guns usedin the chasing of the king. ‘ More than ten persons have been killed within two days. That is Sunday till Tuesday night. Tonight, Wednesday, the killing will continue as aggrieved cult gangs will carry out retaliation killing. ‘’‘On Tuesday night among the three persons that were killed, one was beheaded. I saw theAgbarho police evacuating the half human corpse to mortuary. Where are we going? I am a vigilante, but the issue has gone beyond where we could play a role.When the vigilante was under the deposed monarch, we worked in synergy with thepolice and army and through the encouragement from the monarch; we were able tosend many to Asaba police headquarter Delta state. Many were prosecuted. So,the town was calm. 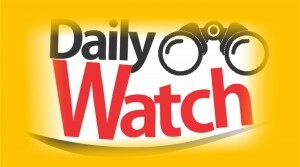 The deposed monarch never liked to see this nonsense’’ hetold Daily Watch. The Police DPO in Agbarho declined comment. We also called the Delta state Police PRO Mr.Andrew Aniamaka for further highlight on the growing insecurity in Agbarho. But he promised to get back to us as at the time of filing this report.